So, you’re ready to get back on the market. Perhaps your contract is coming to an end, or maybe you’re just ready to move on, but either way things may seem a little up in the air right now and you're ready to find your next tech role. There is one detail that you may want to lock down soon: how much you expect to be paid at your next job. At this point, you already know what technology you’re passionate about, the direction of your career trajectory, and your desired field or industry. Only you can really know what you need to be happy and productive and understanding this will help you know which tech jobs are right for you to apply. Now it’s time to figure out what salary you can earn as a technologist based on your background and skills. In this fast-paced market, it can be hard to know where to start. Here are 5 essential tips to understanding your salary value in the tech marketplace so that you can set realistic, obtainable goals for your next role. Beginning a new job will kick-start a steady stream of fresh opportunities including making new connections, networking, and learning. You already have a strong set of tech skills; however, lifelong learning is a virtue in the technology industry, and knowledge is power. Don’t equate the value of a new role with the size of the paycheck; a smart career move in tech is an opportunity to grow and learn professionally. Change will open new doors and a new role will come with new responsibilities and technologies. When it comes to setting your expectations for salary, remember to exercise flexibility and stay open-minded to how the new role will add value to your life. There may be elements of value in a new career move beyond salary, from offering training sessions in a new technology, to newer and livelier work culture, or even a shorter commute. 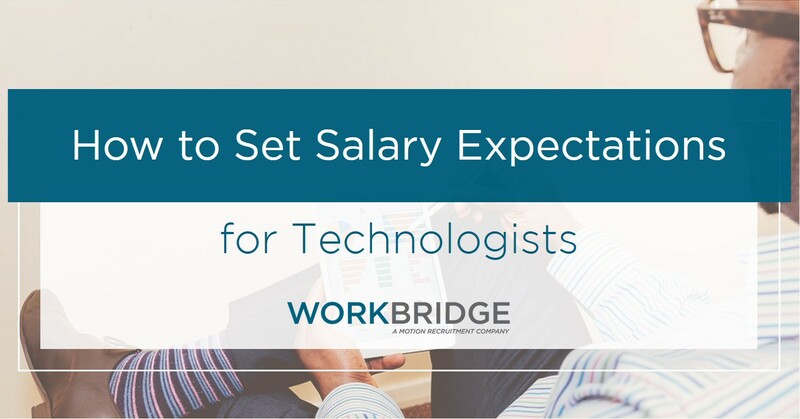 Your salary expectations for your next role in tech should be based on the title, your experience in the required technologies, and your professional skills. Though salary is an important component of a job offer, it does not determine your value on the market. Don’t let an offer that falls below your expectations get you down, and don’t be too quick to write off an opportunity due to salary alone. If you’ve been working the same role for a while and decide it’s time to branch out, keep in mind that some of your current tech might be obsolete with the fast-growing pace of technology. The tech you want to work with is more important for your long-term goals than a small salary bump. Sometimes taking a step back will do more for your career trajectory than a step forward in pay. Once you have a good understanding of your goals and desires, make sure to be transparent about your deal-breakers while interviewing. If you can only afford to pay your rent, living expenses, and bills at a salary of $90,000 or more, don’t spend time interviewing for a position with a ceiling $60,000. It’s a waste of your time and the hiring manager’s and you never know who you’ll encounter again in your future endeavors. 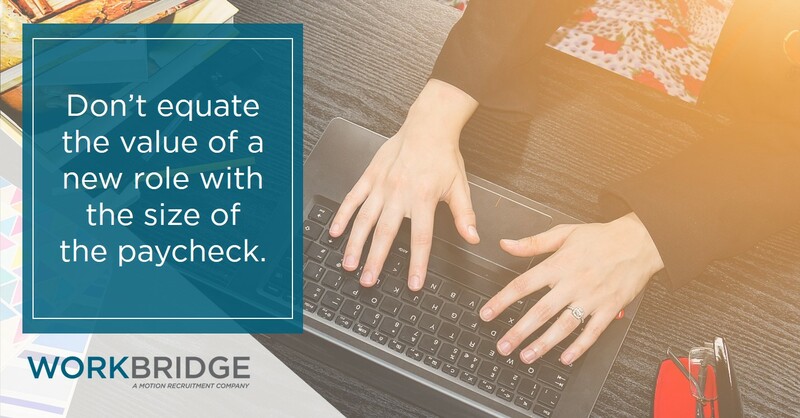 However, if you are excited about a role but the offer is a low ball, be transparent about your exact needs to encourage the hiring manager to try harder to meet, or even exceed your requirements. No other professionals are as precise as engineers, who understand that details and data can make all the difference. If you want a guide that is completely specialized for the technology field, check out the 2019 Tech Salary Guide. This guide gives highly specialized and localized information on technologists' salaries. 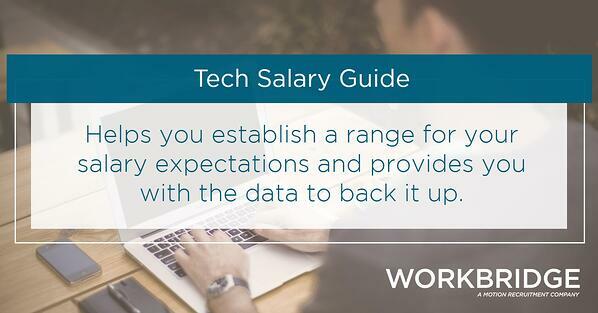 The Tech Salary Guide helps you establish a range for your salary expectations and provides you with the data to back it up. Be ready to accept the right role when it’s offered to you. Of course, to do that you need to know what the “right” offer looks like (see Transparency is Key). There’s an adage that advises job-seekers to never accept the first offer, and somewhere along the way that turned into developers waiting for multiple offers before accepting one. In today’s market, job-seekers have the upper hand and can afford to weigh multiple offers before accepting. However, eventually the offers will stop coming, and since you don’t want to spend forever interviewing, you’ll have to accept one of them. You’ve already made your list of wants and needs, so when the perfect offer comes along, don’t hesitate.